Smile Makeovers: Are They for You? Modern cosmetic dentistry has advanced to the point where we can completely overhaul our smile, sometimes in as little as one visit. But nowadays, cosmetic dentistry isn’t just for celebrities and the wealthy. 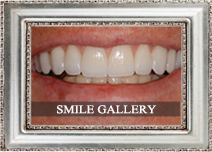 Now there are a wide variety of options and price ranges, putting a fantastic smile within reach for many patients. Traditional dentistry addresses the health of your teeth and gums, while cosmetic dentistry focuses on their appearance. From subtle changes to major oral surgery overhauls, there are a variety of cosmetic dentistry procedures that can get a smile looking good as new, whether they are discolored, misshapen, chipped or missing. Teeth whitening: Everyone’s teeth get discolored or stained from time to time. Our diet is filled with food that does the damage. Teeth whitening, or bleaching, can be done in a dentist’s office or at home with a system dispensed by the dentist. Bonding: Life is full of accidental mishaps, sometimes those mishaps mess up our teeth. Bonding can improve the appearance of teeth that are chipped, broken, cracked, stained, or gapped by bonding tooth-colored materials to the tooth surface, making them nearly impossible to distinguish. Veneers: Another variation of the bonding technique are veneers. These are thin, custom-made porcelain shells that cover the front of the teeth to disguise discoloration or imperfections. Tooth reshaping: This procedure changes the actual look of your teeth by modifying or removing enamel, completely changing the look of your tooth. Tooth reshaping (also known as dental contouring) is often combined with bonding. Crown lengthening: Sometimes it isn’t the teeth that are the issue, it’s the gums. This “gummy” smile or an uneven gum line can be fixed by removing excess gum tissue, exposing more of the tooth’s crown to give the appearance of longer teeth. Smile makeovers: Deciding your smile needs an entire makeover involves a comprehensive assessment of the overall appearance of the teeth and smile. Typically, several cosmetic dentistry procedures are required to overhaul the look of a patient’s smile, but the results will be staggering. As with all other cosmetic surgeries, your mouth also needs to be in fairly good health in order to have these dental procedures done. 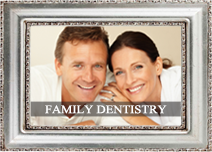 Strong healthy teeth are absolutely necessary in order for a cosmetic procedure to work. Many patients think they can walk in with existing problems (cavities, etc.) and walk out with a Hollywood smile. Sadly, that isn’t the case. 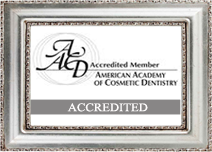 To determine if you are a good candidate for cosmetic procedures, and to find out which cosmetic procedure will give you the lasting smile you desire, contact Dr. Kirtley today! For more information on smile makeovers and to make an appointment call, Dr. Kirtley at 317-841-1111 or visit his website dentalimplantsinindianapolis.com. Dr. Kirtley gladly welcomes patients from Indianapolis, Spring Hill, Beech Grove, Wynndale, Speedway, Rocky Ripple, Warren Park and all surrounding areas. The version most people are used to hearing about is a hydrogen peroxide and baking soda paste, or “old reliable”. You can find a lot of toothpastes with these ingredients, but if you want to do it DIY style, just drop a few drops of hydrogen peroxide into a little bit of baking soda makes a paste. Apply it as you would regular toothpaste. These next couple are sure to throw you off, but they take natural to a whole new level. Strawberries and banana peels. Yes, having these fruits handy will help brighten your smile in the most delicious way possible. Strawberries contain malic acid, and malic acid is fantastic at breaking down stains you would get from drinks like wine or coffee. So grab a couple, add about a teaspoon of baking soda & rub the paste on your teeth for 5-7 minutes. When it comes to the banana, it’s the peel that will shine up that smile. After you brush your teeth, peel a ripe banana and rub a piece along the inside of your teeth for two minutes. Minerals like potassium, magnesium, etc. will absorb into the enamel on your teeth, brightening it in a very nutritious way. If you have some apple cider vinegar in your pantry. By diluting it with some water (3 parts water, 1 part vinegar) and mixing it with an all-natural toothpaste, you’ve made yourself a pretty efficient tooth whitening solution. If you are one that has discovered the many uses for coconut oil, you may also know that swishing it around in your mouth for 20 minutes also helps dingy teeth. But did you also know that you can turn it into a paste, just like apple cider vinegar? Heat a cup of coconut oil, add two teaspoons of baking soda & five to ten drops of natural spearmint essential oil. Not only does the coconut oil turn into a teeth whitening enzyme when mixed with saliva, but the spearmint adds antimicrobial benefits for your gums. It’s a one two punch of smile brightening goodness! One of the latest detoxifying trends is to use activated charcoal. The porous nature of the charcoal turns out that it can also be fantastic at binding to bacteria before it can leave stains on teeth. The recipe is just as simple as all of these others: mix with a little bit of water, gently apply it to your teeth, leave to set in your mouth for two minutes, then rinse. As you can see, it is possible to keep your smile the brightest it can be without busting your budget or using harsh chemicals. None of these DIY ideas should completely replace your oral practices in any way. In fact, no whitening solution can replace your daily brushing and flossing regime. These teeth whitening recipes are intended to be used every couple months when you want your smile the best it can naturally be. For more information on teeth whitening sessions and to make an appointment call, Dr. Kirtley at 317-841-1111 or visit his website dentalimplantsinindianapolis.com. 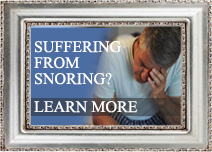 You never thought it could happen, but your dentist tells you that you need dental implants. What exactly does that entail? A dental implant is an artificial tooth root similar to a screw that is placed in your jaw to hold a replacement tooth or bridge. Like a prosthetic for your smile. It will take a few procedures but once it’s done, it’ll be like you never had a missing tooth. But what now? You have a basic grasp of daily oral care, but implants can’t possibly be the same to maintain as normal teeth, right? Does this mean you will need to retrain yourself a new dental care routine in order to look after them? Not exactly, but you will definitely have some things to alter a bit. The following are just a few things to keep in mind as you are going forward with your brand new teeth. 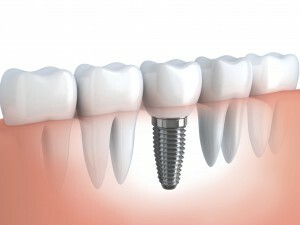 Once you have your implants in place, you will have a tooth/teeth that will look just like the others. You will be able to eat normally, speak without issue and no one will be able to tell so you can smile just as you did before losing the tooth. While implants are designed to withstand quite a bit, but just because they aren’t your originals, it doesn’t mean you can go neglecting them. They may not be able to get cavities like your originals, but they can go bad on you like the real versions. You can get inflamed gums and infections, or periodontal disease, just like before. So consider them exactly like your real teeth when you are looking after them. Dental implants are generally meant to last for decades to come, but they are still breakable. Handle them with care. Make sure you are careful when you are cleaning or caring for them. Your “new teeth” will require periodic checking by your dentist to ensure that everything is working properly and the surrounding gums and bone are being maintained and remain healthy. They will also require x-rays periodically to evaluate the level of bone around your implants. If gum disease is taking place, your gums will recede, showing your implants and making them weaker and prone to breaking. Dental restorations attached to your implants will also require periodic checking by your dentist to verify that they are secure and functioning properly. For more information on dental implants and to make an appointment call, Dr. Kirtley at 317-841-1111 or visit his website dentalimplantsinindianapolis.com.